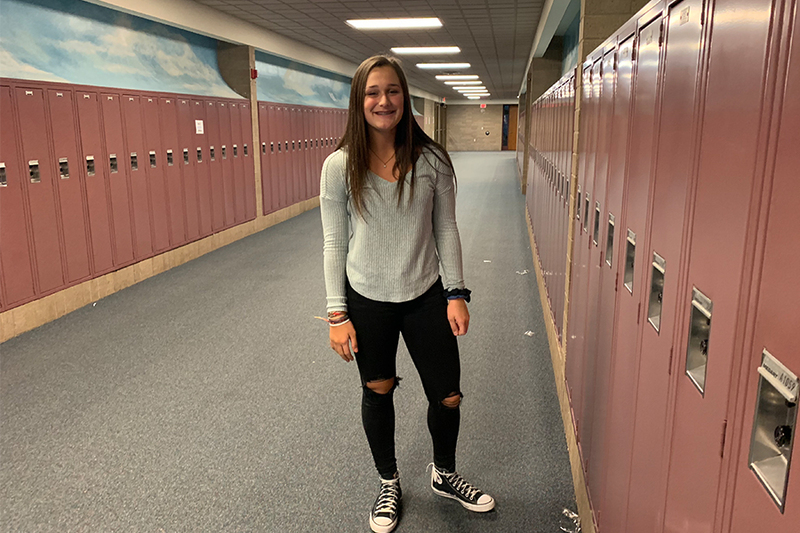 Sophomore Brooke Andel poses for a picture in the hallway. This is the 3rd week of the new feature Sophomore Spotlight! I will be interviewing sophomores to see how they liked freshman year and to learn more about their lives. This week I had the pleasure of speaking to Sophomore Brooke Andel. It was very uneventful… but I made the most out of it. Standing in the back for sporting events. Cortney Carlson, because she is super nice and funny. Q: Where do you want to be in 2 years? Who is your favorite teacher ever? Crandall, I love her humor.